In my six-plus years of helping organizations pursue energy efficiency in buildings, I have met with more than 1,000 business owners and decision makers. I can confidently say 99 percent of the people I met love the concept of energy efficiency. Some people love energy efficiency for reasons like financial stewardship and energy independence. Others like the environmental stewardship. Energy efficiency is driven by innovation in technology, and innovation drives our economy and job growth. Energy efficiency is good for the environment, good for national economic competitiveness, good for the wallet and creates jobs. That’s a lot of wins. And yet, less than 15 percent of those same 1,000 businesses and people strategically and proactively pursue energy efficiency. Even though they desire to be more energy efficient, they do not take action to be more energy efficient. This is true among churches, schools and non-profits as well as retail, commercial, manufacturing and industrial businesses. With few exceptions, they all have a gap between desire and action. 1. Lack of knowledge. Simply put, if someone doesn’t know a particular type of technology exists, it will not be implemented. 2. Lack of an attractive business case. In the world of business, every project is competing for the same dollar. If an energy efficiency project is “cool” but doesn’t pay back within the company return-on- investment threshold, it will not be prioritized. 3. Lack of capital. An organization might be aware of great energy efficient technology, and the business case might meet necessary criteria. But if the cost is $100,000 that’s not in the budget, most times the project will get shelved. The Commercial/Institutional Task Force for Energy Efficiency is part of Holland’s 40-year Community Energy Plan. 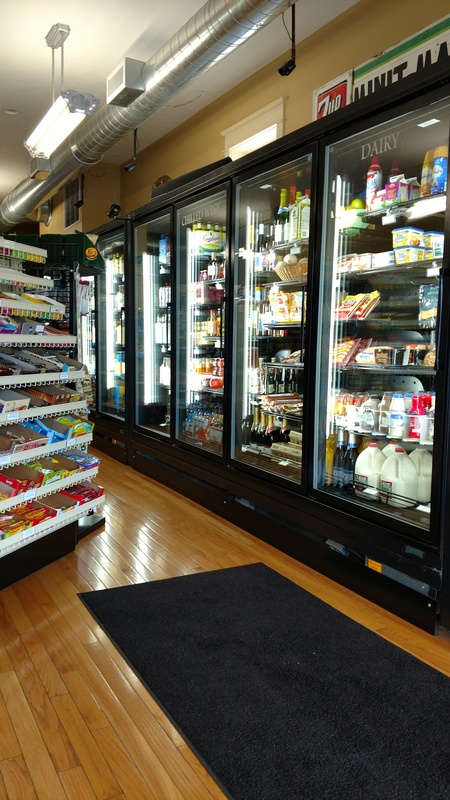 This past year, the task force conducted a pilot program with 13 small businesses and churches to determine what inspired action towards energy efficiency. 1. We built a program that delivered easily digestible energy information. This information was contextualized to the specific building and type of business. 2. We helped participants understand the business case for energy efficient technology and what it would mean to their bottom line each month. 3. We minimized the capital needed to implement the project by making people aware of Holland Board of Public Works and SEMCO utility incentives and financing options. The results? Five of the 13 organizations implemented energy efficiency projects that created over $120,000 worth of contracting work in our community. These projects collectively represented an average of 3.5-year return on investment in energy savings and realized a 30.1 percent savings in gas and electric consumption. When factoring in the utility incentives, these projects are now saving the organizations about $25,000 per year. With the right links between desire and action, these organizations learned how energy efficiency can be a win in multiple ways!  Brian Pageau is spokesperson for the Commercial Institutional Task Force for Energy Efficiency, president of the Midwest Energy Group and a board member of the Michigan Energy Innovation Business Council. 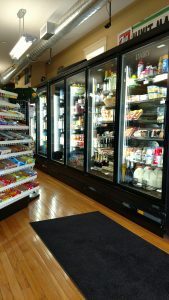 MINIT MART CASE LIGHTS.JPG Simple steps such as using LED lights in the cooler cases are part of a plan to save energy at the Washington Square Minit Mart. Courtesy photo by Barry Rutherford, Holland Board of Public Works. The Holland-Hope College Sustainability Institute (HHCSI) would like to formally recognize the following projects. In Holland, we believe that in order to become a vibrant, world-class community we must look at all aspects of our community. This includes the economic, social, and environmental impacts we all have. Our City of Holland Sustainability Committee has created a seven-pillar framework with “lenses” to help us evaluate and make more sustainable choices. We have used this framework model as a way to identify the Hope College Sustainability Research Projects. This year’s research projects were designated with a “green ribbon” on their research poster at the April 21st event. Original research by students on topics ranging from the historical roots of the Black Lives Matter movement, to monitoring of the Lake Macatawa watershed, to changes in political trust in the United States were highlighted during the annual Celebration of Undergraduate Research and Creative Performance at Hope College on Friday, April 21, from 2:30 p.m. to 5 p.m. at the Richard and Helen DeVos Fieldhouse. Since the first Earth Day was celebrated on April 22, 1970, Earth Day has become an international movement with events worldwide demonstrating support for environmental protection. “The wealth of the nation is its air, water, soil, forests, minerals, rivers, lakes, oceans, scenic beauty, wildlife habitats and biodiversity… that’s all there is,” said Gaylord Nelson, a U.S. senator from Wisconsin, who founded the day. The Holland area offers a full week of Earth Day-oriented themes and events, beginning Monday, April 17. But any day can be an Earth Day, as seen by about 50 Hope College students who recently participated in a beach clean-up. Doing things like cleaning up our local beach is so important because it lets us take ownership over our community and deliberately shape it into the kind of community in which we want to live,” said one of the students, Olivia Witta. “Little things like this are the things that ultimately make the world better.  Explore an alternative commuting option such as walking, biking, or carpooling.  “Take back the Tap” by opting to use a reusable water bottle and fill it from the faucet or fountain. Often, people drink bottled water out of convenience or because they think it tastes better, but in blind taste tests, participants often prefer the tap. Plus, drinking tap water is better for the environment and your wallet.  Sandy Hansen, a local artist, will present her eco-art and highlight the important and impactful conversation between art and the environment. Hope College, Martha Miller Center, first floor Rotunda at 3 p.m.
 “What’s Invading My Habitat?” will be Living Sustainably Along the Lakeshore’s final event of the spring. Herrick District Library, 6:30 p.m.
 Rarely, do we think about where things go when we throw them “away.” Reduce, Reuse, Repurpose, Recycle! And don’t forget to compost food waste. For more information about what can be recycled rather than sent to the landfill in the city of Holland, visit www.cityofholland.com/solidwasteandrecycling. GreenMichigan.org is also a great resource about items you typically wouldn’t think to be recyclable.  Learn about the impacts the clothes we purchase have socially and environmentall’y with a discussion led by staff from the Bridge and watch clips from the film “True Cost; in the Schaap Science Center, 35 E. 12th St., Room 1019. 7 to 9 p.m.
 Did you know the food we eat has a huge impact on the environment? Try products that are organic, local and meatless.  A children’s event at the North Side Herrick Library, 155 Riley St., will let the kids make their own recycled bird feeders, along with two other earth-friendly make-and- take crafts. Participants will be entered in a drawing for a $50 Jonkers Garden Center gift card.  Turn off electronics, unplug and get outdoors! Ideas include studying outside, visiting a park or getting some family and friends together to pick up trash or plant a tree. For additional details about these and other activities, visit the Community Sustainability Calendar under Events at www.hope.edu/sustainability-institute/. For more information about the international Earth Day, visit: https://www.epa.gov/history/epa-history- earth-day.  Abagail Jeavons is a Hope College junior and co-president of Hope Advocates for Sustainability. Michelle Gibbs is director of the Holland-Hope College Sustainability Institute. 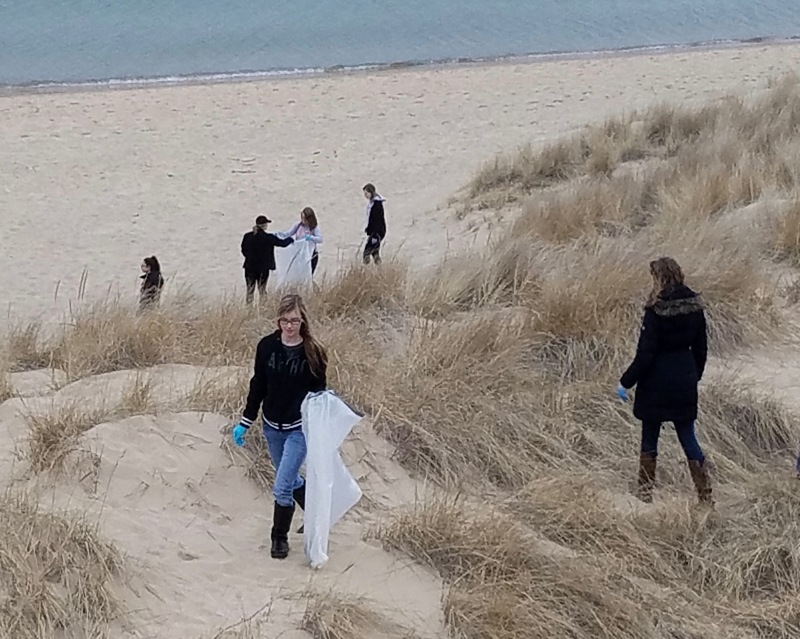 BEACH CLEAN.JPG Hope College students and the group Hope Advocates for Sustainability recently cleared trash from Lake Michigan beaches. Courtesy photo BIKING2.JPG Alternative commuting options, including bike riding, are a great way to celebrate Earth Week and start being more sustainable. Courtesy photo: Rob Walcott at www.pcketphotographr.com and Velo City Cycles. This Week’s Sustainability Framework Theme : Environmental Awareness/Action: Environmental education and integrating environmental practices into our planning will change negative outcomes of the past and improve our future. March 23, 2017 – Will Consumers Pay More for Recycled Ocean Plastic? March 22, 2017 – Often ‘overlooked’ melting influence of dark snow: New monthly video explores critical role of soot and algal blooms in accelerating Greenland ice sheet melting rates. March 22, 2017 – Company turns piped water into electricity: Turbines installed inside water pipes generate electricity. Do you know how much the electricity is costing you for that second refrigerator in the basement that you use once a year for the Thanksgiving turkey? 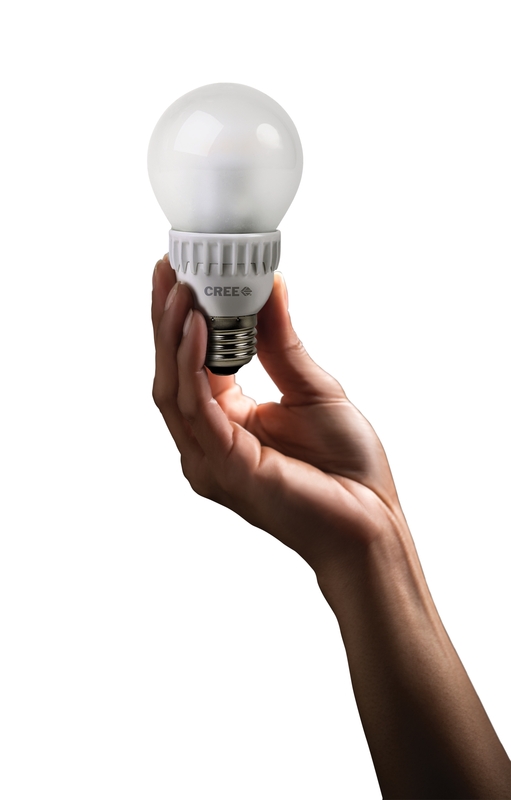 Or the hidden cost of the incandescent lightbulb you can’t seem to part with just because it hasn’t died yet? Incandescent light bulbs, extra refrigerators, old appliances, extra humidity – all of these things can contribute to excess energy use in your home. Making simple yet effective changes can make a difference in your monthly energy bill. But h ow do you find out what changes to make in order to save? 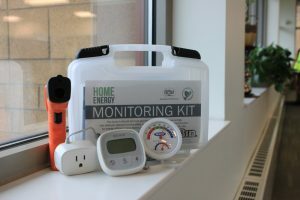 Here’s the answer: Check out a Holland Board of Public Works Home Energy Monitoring Kit from the Herrick District Library. Here are five reasons to check out a Home Energy Kit today. 1. Learn how much electricity your appliances and electronics are costing you. The Home Energy Kit includes a watt meter. Simply plug the watt meter into an outlet and plug your appliance or other electronic device into the watt meter. The display will show an instant read of how much it costs to use this device. The meter is even programmed to Holland Board of Public Work’s rates. 2. 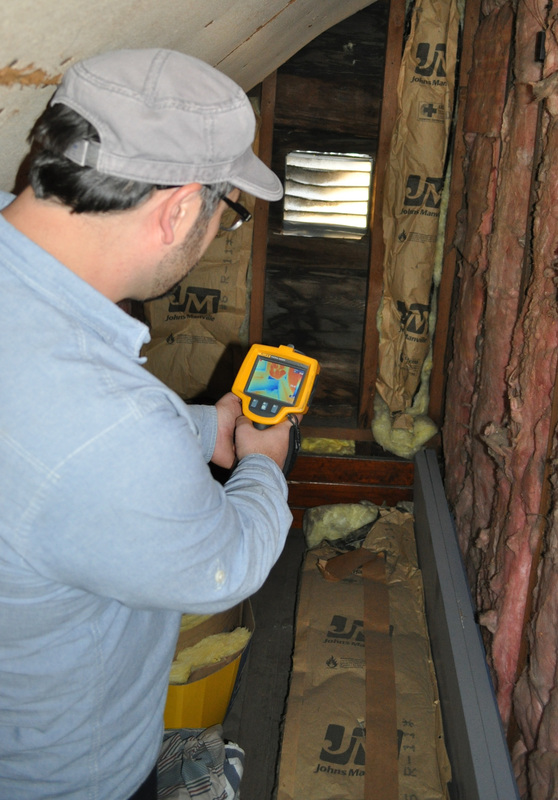 Find out where heat is escaping from your home. The Home Energy Kit also comes with an infrared thermometer. Point and shoot the thermometer laser to measure the temperatures around doors, windows, vents, light switches and other openings. If you find an area with significant temperature difference compared to the rest of the room, odds are that area could benefit from air sealing or more insulation. 3. Measure the humidity in your home. Did you know humidity affects home energy usage? It requires the heating and cooling system to work longer to overcome the negative impact that too high or too low humidity has on the interior of your home. Keeping the humidity at 40 to 50 percent is the ideal condition for your comfort and the efficiency of your heating and cooling systems. 4. Learn about energy conservation with your family. Use the Home Energy Kit together as a family and seize it as a learning opportunity with your children. The kit includes information about ways to save and other resources provided by the Holland Board of Public Works. 5. It’s Free. That’s right, free. With your Herrick District Library card, you can check one of these kits out at no cost, just like a book. Simply ask at the information desk where the kits are located, grab one and it’s yours to use until the return date. What are you waiting for? Head to Herrick District Library and start saving!  Ashley Kimble is the customer communications specialist at the Holland Board of Public Works. When I first heard about Earth Hour happening in cities like Paris, Singapore, Dubai and New York, I couldn’t help but start dreaming up what it could be like to bring it here to Holland. For some background, Earth Hour started in 2007 as a lights-out event in Sydney, Australia. It has since grown to more than 170 countries and territories worldwide and has become one of the world’s largest grassroots movements for the environment. Every year households, businesses and iconic buildings in major cities turn off their lights for one hour to promote energy conservation, celebrate our night sky and raise awareness about how we impact our environment. After a few conversations at our meetings and excited by the idea, the City of Holland’s Sustainability Committee decided to move forward in promoting Earth Hour to our community. 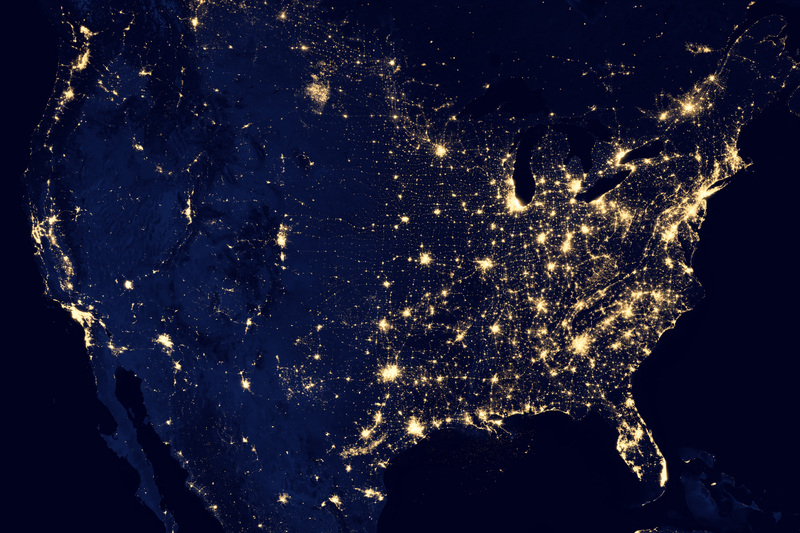 This year, Earth Hour in Holland is taking place from 8:30 to 9:30 p.m. on Saturday, March 25. Our hope is to inspire you and your families to take the pledge to change your energy use for at least one hour. A great way to get started is to think about what’s important to you. I love Earth Hour because it’s completely customizable. If your concerns are about bees and pollinators, make it about that. 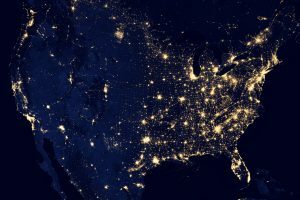 If you care about light pollution or wildlife habitat, make those the focus. I myself will be participating for the first time and felt I should ask an Earth Hour veteran why he participates. That same potential for global collective power is what drew me to Earth Hour. If you need some help getting started, visit the Earth Hour website for ideas. Consider actions like these: If you’re eating a late dinner, maybe sit by candle light. If you have little ones at home, get them involved by reading a bedtime story by flashlight. If you represent a business, school or church, encourage your members to take the pledge as well. Go to https://goo.gl/QhJbY9 to sign up for the Earth Hour pledge. If you are looking for something to do that afternoon, come join us at 3 p.m. Saturday in Graves Hall, 263 College Ave., on the Hope College campus for a free showing of the documentary “The City Dark,” which highlights the effects of light pollution.  Carolyn Ulstad is a resident of Holland and sits on the Holland Community Sustainability Committee. February 27, 2017 – HOPE COLLEGE STUDENT’S RESEARCH ADDS FUEL TO FAST-FOOD DEBATE: Margaret Dickinson, spent two years at Hope testing hundreds of fast-food wrappers from several states in order to detect per- and polyfluoro alkyl substances (PFAS) in the packaging. Human-made with long environmental lifetimes, PFAS is toxic to humans and animals, and its bioaccumulation is troubling to scientists. February 26, 2017 – HOPE COLLEGE MERGING MAJORS: This summer, senior Elizabeth Ensink, participated in one of the United States’ most competitive undergraduate creative writing fellowships, “Nature in Words.” The 10-week fellowship, based at Hastings, Michigan’s Pierce Cedar Creek Institute for environmental education, provided a unique opportunity for Ensink to merge the diverse academic interests that she’s been able to pursue at a high level at Hope, where she is majoring in both biology and English with a writing emphasis. February 20, 2017 – Living Sustainably: Pop Quiz: Do you know your home place? February 20, 2017 – GOING COAST TO COAST Brian Kieft Hope College ’01 returned to the shores of Michigan from Monterey Bay Aquatic Research Institute to study water quality in the Great Lakes using an autonomous underwater submersible called Tethys.